After having served and satisfied an endless number of palates, Dakshin Rasoi has opened its latest outpost at Korum Mall in Thane. Dakshin Rasoi is a 100% vegetarian restaurant that will serve everything from the traditional idli, dosa, wada, sheera and upma to a few really unique South Indian fusion dishes such as the mini basil dosa with corn and ratatouille, green garlic dosa with tofu, morel dosa with porcini and chestnut ragout with porcini cream sauce and more. If all of this didn't make the cut for an appetite as huge as yours, their Bahubali Combo or Anna Bond will definitely do the job. While you're at it, don't forget to end your meal with their piping hot filter coffee. 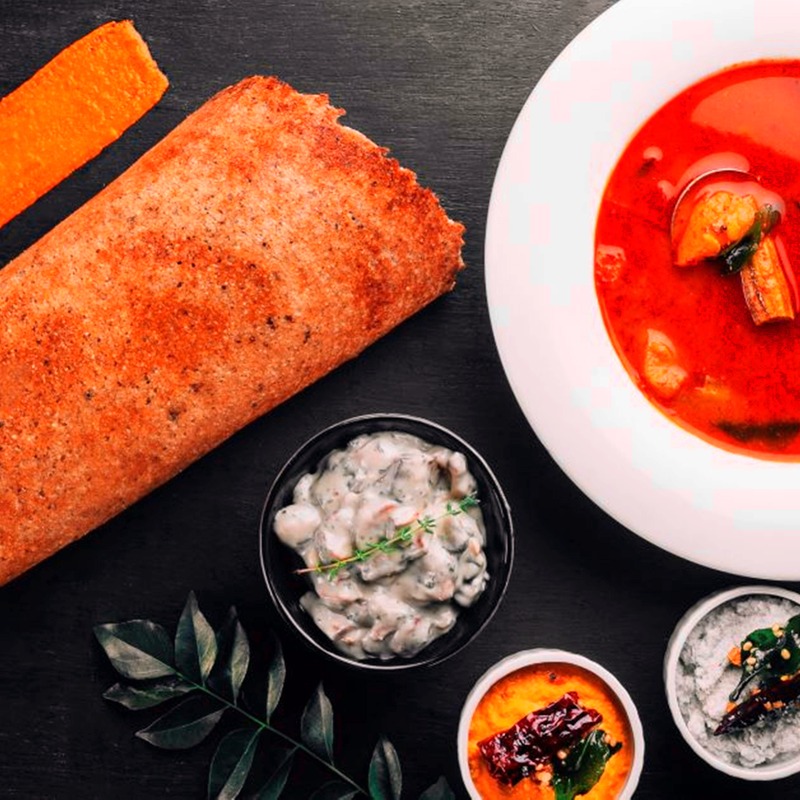 After all, no South Indian meal has ever ended without one, has it? !